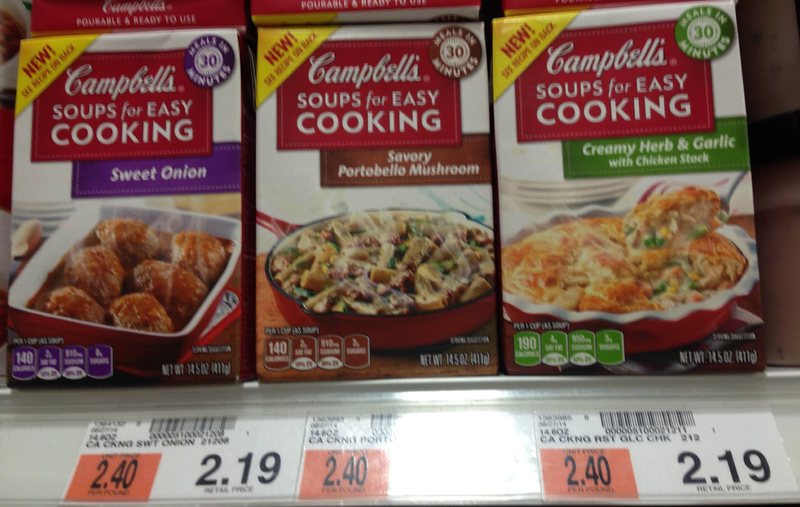 Price Chopper: Campbell's Soups For Easy Cooking $0.69! Campbell's Soups For Easy Cooking are $2.19 reg price at Price Chopper, use 75¢ on any ONE (1) Campbell's® Soups for Easy Cooking = $0.69! Or print coupon now & wait for a possible sale.